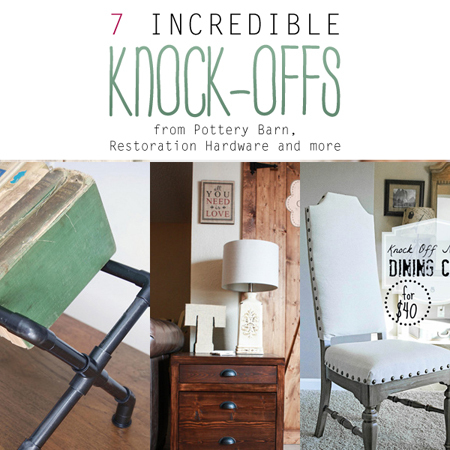 I do believe that all of The Cottage Market readers favorite thing is to look at a collection of Knock-Offs on a regular basis…that is why we have started Knock-Off Sundays…it just kind of happened and it has been very popular. 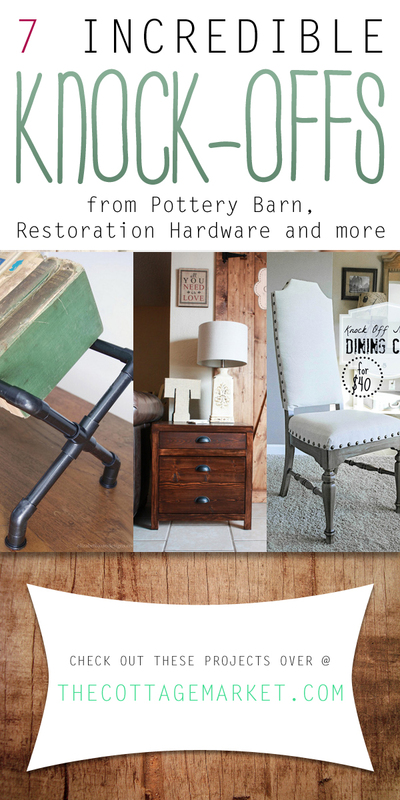 Today we are going to take a peek at 7 Sensational Knock-Offs from Pottery Barn, Restoration Hardware and Anthropologie! Each one is fabulous…comes with a spot on tutorial so you can make them yourself in an afternoon! They all look fabulous and I am sure that your friends and family will never know they were a DIY…because they look like they walked out of the front door of each popular store! So sit back and relax…enjoy a cup of something delicious and check out this projects…I am sure at least one of them will go on your list of things to DIY NOW list!